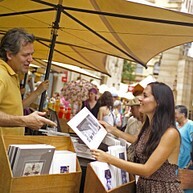 Opening hours: Most shops are open 9am to 5pm daily, with late night trading on Thursday to 9pm. Discover Sydney's convict history in the cobbled laneways near the Sydney Harbour Bridge. The Rocks is where Britain began its colony in 1788. This is a picturesque destination, with a maze of sandstone courtyards, workman's cottages, elegant terraces and Sydney's oldest pubs. Discover vibrant weekend markets, theatres, cafés and bars, as well as several of the city’s best hotels and restaurants - you'll love The Rocks. A Sydney icon, and known locally as The Coathanger, the impressive bridge has six million steel rivets and carries rail, bicycle, car, bus and pedestrian traffic across the harbour. It's 134 metres (440ft) from the water to top of the steel arch. The bridge is inspiring to look at, and even more exhilarating to walk across, as many Sydneysiders do, to get to and from work each day. 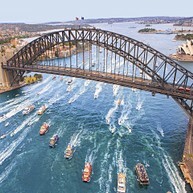 Climb to the summit with BridgeClimb and be stunned by one of the world's most spectacular views. 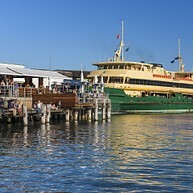 As a harbour city, Sydney has long relied on these grand old ladies - the Sydney Ferries - to criss-cross the sparkling waterways. Take the iconic Manly ferry across the harbour to Manly peninsular and stroll along the Corso to Manly Beach, where the first world surfing championship was held in 1964. Go for a surf, or rent a bike and ride to Fairy Bower and picnic at gorgeous Shelly Beach. Wine and dine at Manly Wharf before taking the ferry back to the city centre. The Royal Botanic Garden is an oasis of 30 hectares in the city. Wrapped around Farm Cove, from the Sydney Opera House to Woollomoolooo, the landscaped Garden is in one of Sydney's most spectacular positions and is home to an outstanding collection of plants from Australia and overseas. Wander through the garden, established in 1816, to Mrs Macquarie's Chair, which was carved out of a rock ledge for colonial Governor Macquarie's wife, Elizabeth. To this day, the views she so famously loved, are truly spectacular. There's no better way to enjoy the beauty of the Sydney coastline than from the winding cliff walk between Bondi and Coogee beaches. These paths become a stage for whale watching between May and November, the backdrop for Sculpture by the Sea in October-November, and a year-round vantage point to watch surfers carve up the waves. Take in Aboriginal rock carving at Mark's Park, big surf at Tamarama, snorkelling at the coves of Clovelly and Gordons Bay, and the white sands of Coogee Beach. Stop off at the Bronte café strip along the way and cool off with a refreshing dip in an ocean pool. 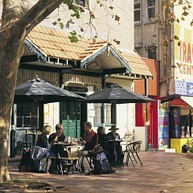 A lively entertainment precinct, Darling Harbour is a 10-minute walk from Town Hall in the city centre. One of Sydney's largest harbourside dining, shopping and entertainment precincts, Darling Harbour enjoys a full calendar of events as well as one of the city's most enchanting gardens - the Chinese Garden of Friendship. You'll also find a zoo, aquarium and a maritime museum. Cockle Bay and King Street Wharf offer funky nightclubs, wine bars and bistros serving fine food and great cocktails. Stepping into this fascinating garden in the middle of bustling Chinatown, is like stepping into a haven of tranquillity. The garden combines old world Chinese architectural principles, with an harmonious balance of running waterfalls, wooden bridges, towering willow trees and colourful koi and carp swimming in lagoons dotted with lotus. Visit the Courtyard of Welcoming Fragrance and the Twin Pavilion, then take a jasmine tea in the traditional Chinese Teahouse. An area rich in diversity, Kings Cross is a true melting pot of travellers, stylish restaurants and inviting bars and cafés, and locals from many walks of life. Bronze plaques honouring famous people and venues in the Cross are set in the pavement on Darlinghurst Road. 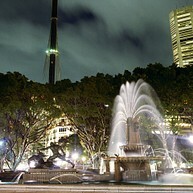 Fitzroy Gardens contains the El Alamein memorial fountain, which flows like a giant dandelion. Theatres such as SBW Stables complement the nightclub acts. Look for the giant neon Coca Cola sign and people dressed to party, and you'll know you've arrived in the Cross. 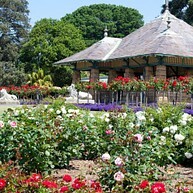 Australia’s oldest park is 16 hectares of beautiful gardens in the heart of the city centre. Replete with 580 exotic and native trees, art works, monuments and water features, Hyde Park is a favourite lunch time spot, and hosts a number of cultural events such as the Night Noodle Markets for Good Food Month each October. Divided by Park Street, the northern end contains the beautiful Archibald Fountain, with its bronze figures from ancient mythology, and a charming avenue of Hill’s Fig trees. The southern end features an ANZAC War Memorial and Pool of Reflections. 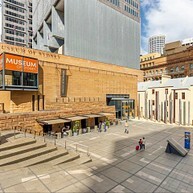 Established in 1827 and the first in the country, the Australian Museum has an international reputation in natural history and in indigenous studies, research, community programmes and accessible, innovative exhibitions. View unique and extensive science and cultural collections, multimedia exhibitions of physics and of indigenous Australian culture and native animals. 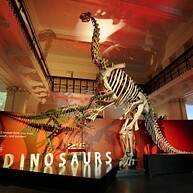 The permanent Dinosaur exhibition features an awe-inspiring collection of skeletons and answers many age-old questions. A short bus ride from the city centre, Centennial Parklands contain beautiful gardens, an entertainment quarter, 18-hole golf course, sporting fields, tennis courts, equestrian facilities and Fox Studios, which makes films. About 15,000 trees grow in Centennial Parklands' three parks - Centennial Park, Queens Park and Moore Park. Enjoy a picnic under one of the trees or by a tranquil pond. In Centennial Park there's a cafe and a restaurant, and the EQ Village Markets are open on Wednesdays and Saturdays in Moore Park. A short ferry ride from Circular Quay in the city centre is Sydney Harbour's largest island and one of Australia's most fascinating historical sites that's on the World Heritage list. Take an audio tour or self-guided journey and explore the island's convict and ship-building history. Cockatoo Island is the only Sydney Harbour island where you can stay overnight in what Lonely Planet described as "one of the world's most spectacularly located campsites". Built on the site of Australia’s first Government House, a stroll from Circular Quay in the city centre, the Museum of Sydney is a fascinating place to explore some of Sydney's dramatic history. The museum uses imaginative and interactive displays, like a miniature First Fleet, offering the visitor a journey back to the moment when the first European eyes set sight on what the First Fleet captain and first governor Arthur Phillip described as "the finest harbour in the world".